After you have all the ingredients measured out, combine the wet and dry ingredients in two separate bowls. 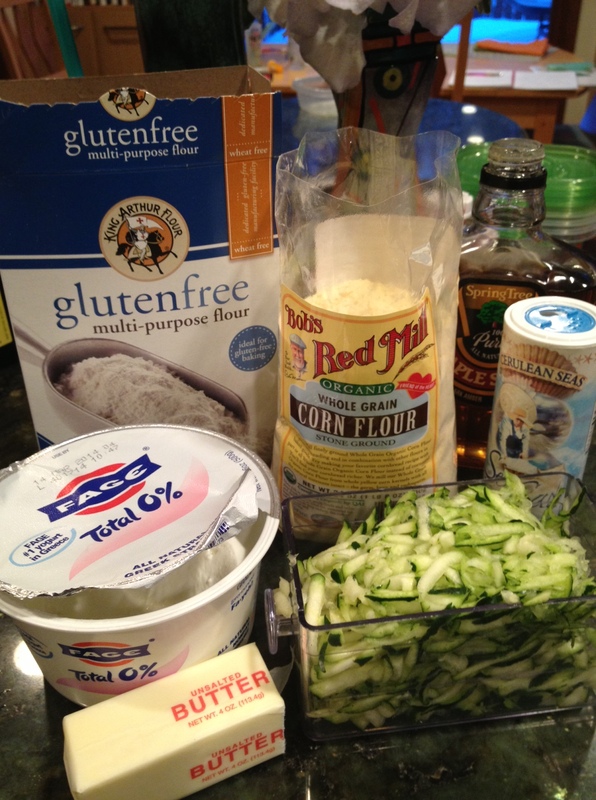 Pour the wet ingredients into the dry ingredients, then mix in the grated zucchini. Bake for about 40 minutes and you’re good to go! 2. In a medium bowl combine cornmeal, flour, baking powder, baking soda, and salt. Whisk to blend. 3. In another bowl combine eggs, yogurt, maple syrup, butter, and milk. Stir to combine. 4. Add the wet ingredients to the dry ingredients. Stir just until mixed. 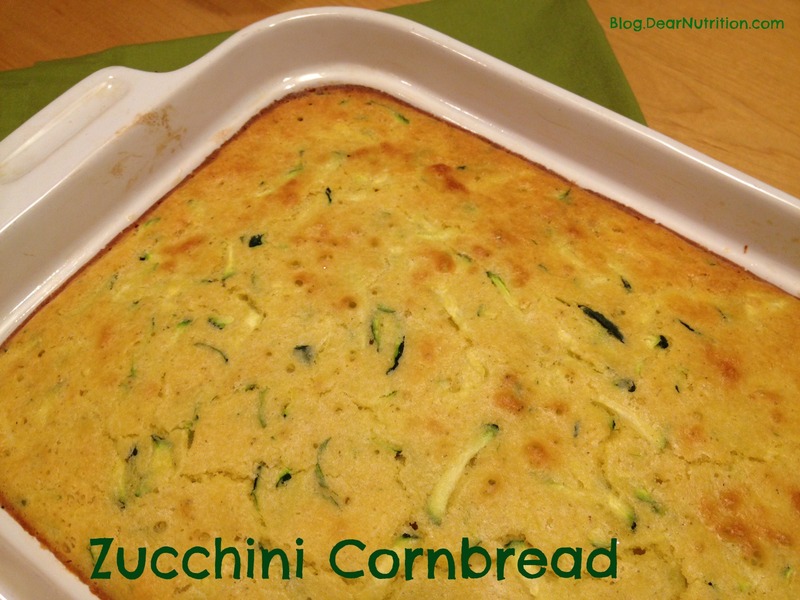 Fold grated zucchini into the batter. 5. Pour batter into a buttered 8×8 baking dish. 6. Bake 30-40 minutes until the top is lightly browned and an inserted toothpick comes out clean. 7. 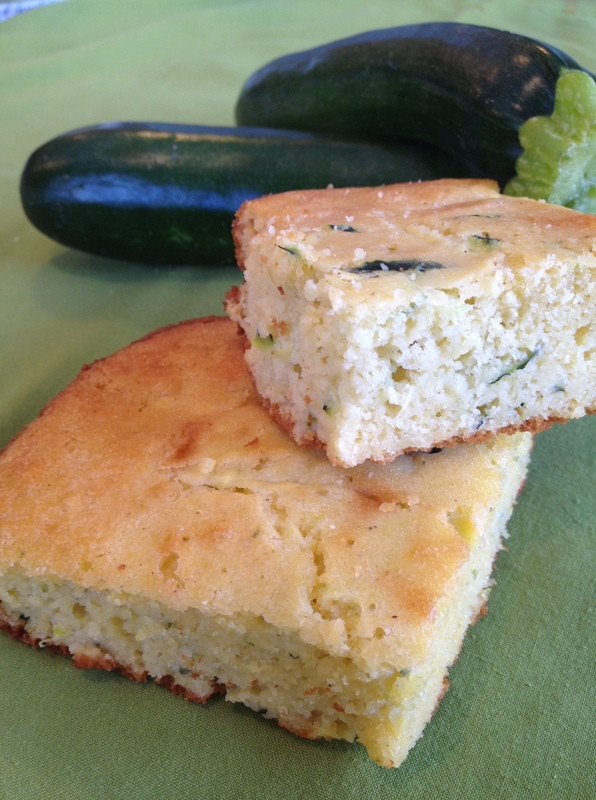 Store cornbread in the refrigerator for up to 5 days.